The last cargo of the long passage – railway sleepers from Danzig – is safely landed at Plymouth. It should be an easy trip for the Blue Jacket, round Land’s End to South Wales. Three compasses and steam steering fitted, all recently examined and found to be in perfect order. Sea flat; stars out; lights all clearly visible. Two men on watch tonight, one steering and one lookout. Asleep below, another 21 men, some no doubt dreaming happily of the streets, chapels, public houses of Cardiff. The Captain’s a young man, and his wife’s on board, so he’s happy too. What could possibly go wrong? Yes, Captain Thomas knows that, in theory, there should be three on watch. But he’s let the first mate – William Rouffignac of Newlyn - have a good night’s sleep. (William is the brother of Ambrose Roffignac who was the subject on On This Day 24 August 1898) After all, there’s the empty hold to clean out tomorrow, and after that desertion at Algiers, and the bosun being discharged at Falmouth, the numbers are a bit light. Who can blame the captain for bending the rules? For cutting through a bit of red tape, a bit of bureaucratic nonsense? 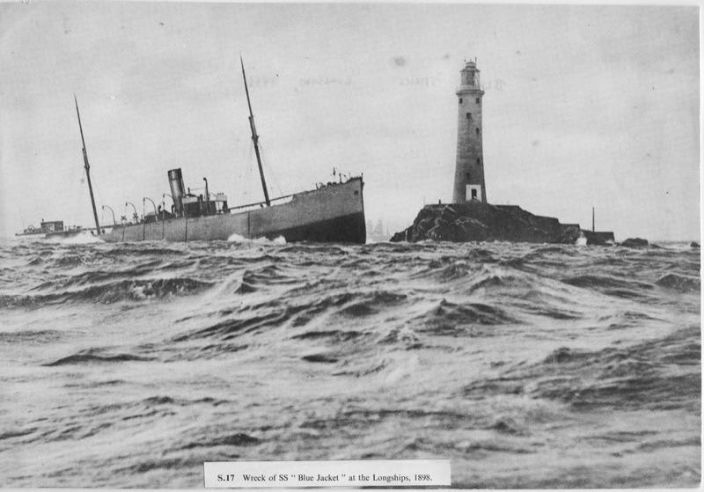 The ship passes the Lizard, making its way towards Land’s End. Captain Thomas decides to call it a night, goes below. The second mate, Mr Sinclair, is perfectly competent – he’s got his paperwork. But still, Land’s End is Land’s End. The captain comes back up when the lighthouses are in view, checks all is well, returns below. Mr Sinclair has been round Land’s End before; knows the ropes. He remembers quite clearly; pass to the inside of the Longships lighthouse. And his recollections of tonight will also be clear – that he went back to the captain, who was relaxing on a settee in his berth, and who told him: "All right, haul it right ahead… I will be up directly." But Captain Thomas will claim otherwise; claim that he was never even called. So it is, then, that things start to fall apart. 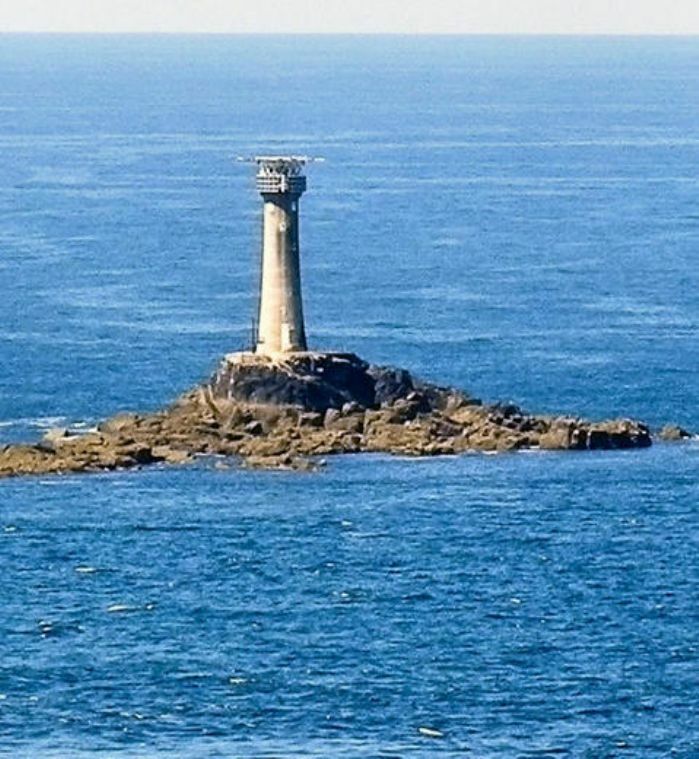 The man on lookout – Mr Hughes - has to go and trim wicks on the lamps, leaving nobody except Mr Sinclair who - perhaps slightly anxious now – edges to port, intent on passing to the inside of the lighthouse. The one thing he knows about Land’s End, is that this is the right thing to do. The steering is slow to answer, though, and he runs for the captain, while the wheelman telegraphs down to the engine room: full astern. But it’s too late; far, far too late. The closing minutes of November 9th see her “dashed with tremendous force on the ledge of rock, so that the bow was sent up high on the rocks, while her bottom was torn away right to the engine-room”. Mrs Thomas is thrown against a bulkhead, and sees the doors of a bookcase fly open. And so the day ends with Blue Jacket fast on the rocks, less than 50 yards from the lighthouse, a 20 foot gash in her side. “She commenced to make water rapidly in the fore and main holds and in the engine room”, the Board of Trade report will state, “and it became apparent that nothing could be done to save her”. Happily, not a single person was to lose their life that night: the Sennen lifeboat would have a straightforward task in the calm sea. What nobody could understand was how, with the lights of both ship and lighthouse plainly visible and the crew and lighthouse keepers close enough to converse, with all the modern equipment on board, such a thing could have happened. At the official hearing, blame would be placed squarely on the “defaults and negligence of the master”. He was in good health, had enjoyed a day’s rest in Plymouth and had an easy run home ahead of him: these things considered, the Board of Trade ruled, he had no business leaving the bridge. His certificate was suspended for six months.